Our State of the Art CNC precision turning facility produces complex high quality Mill/Turn components in sizes from 3mm to 120mm diameter (200mm Diameter in Billet form), with the latest technology in Multi-Axis lathes. 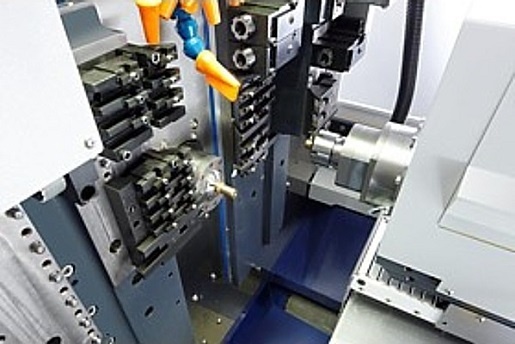 Mann engineering’s machine portfolio boasts an extensive array of top of the range Lathes, producing complex precision CNC machined components. CNC machining is carried out for our customers in sizes from 3mm diameter to 120mm diameter on our state of the art bar feed – lights out machinery. We can also machine billets up to 200.0mm diameter, giving our customers an extensive scope for their precision engineering requirements. For over 40 years, Mann Engineering has carried out CNC services for a multitude of industries in various materials, from bright to high grade mild steels, aluminium (6061T6, 6082), copper, brass, plastics, nylon, Teflon, as well as various stainless steels (303, 304, 316) and we specialise in machining precision turned parts in high end materials such as Hastelloy, Monel, Titanium, Inconel, 254-MO and 17-4PH.